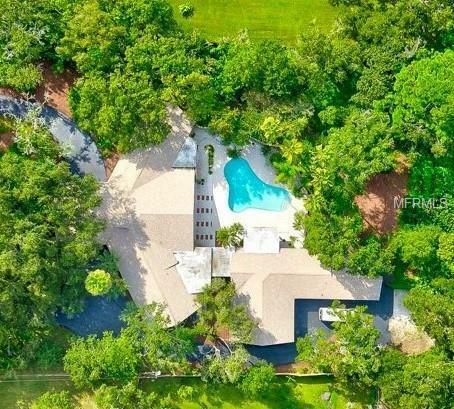 Beautiful Dunedin Estate on a Wooded Private 1.25 acre Lot. Nestled on a Quiet secluded street offering Complete Privacy! Long Drive leads to Covered Porte-cochre with Lighted Planter. This Impressive 5,600+ Sq Ft Home has been COMPLETELY Updated and features 5 Bedrooms, 3 Baths plus Den. 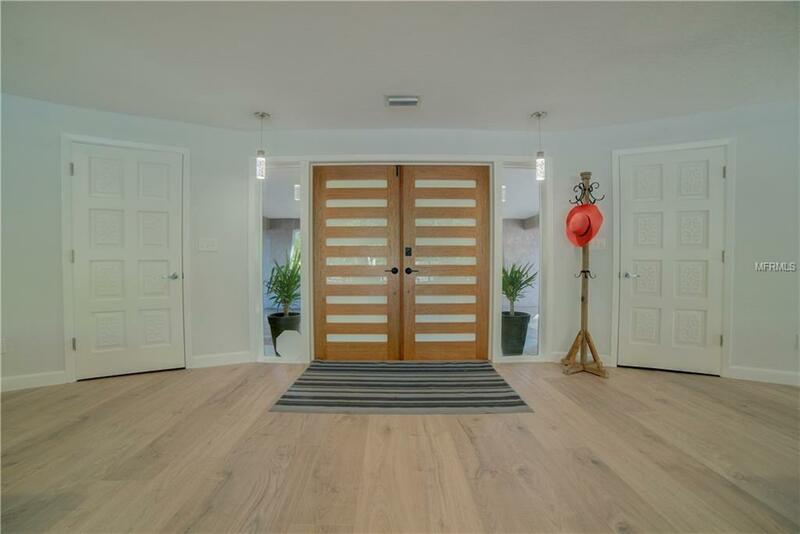 Double Door Entry into Foyer. As you enter you will Experience the Stunning "Wow" Factor with Floor to Ceiling Windows. Entertain with ease in the Enormous Living & Dining Room Offering an Open Feel- Shows Light & Bright! High End Water Resistant Wood Like Flooring. Enjoy a Chef Gourmet Island Kitchen Complete with Quartz Countertops, Soft Close Cabinets, GE Cafe Series Glass Top Induction Range/Convection Oven with Wifi Technology, Built-In Drawer Microwave, Stainless Steel Appliances, French Style Refrigerator with Keurig Coffee Maker, Large Center Island, Breakfast Bar, & Pantry. The Master Suite offers a Quiet Retreat with Room Sized Closet & Organizers. Luxurious Master Bath with Quartz Countertops, Dual Sinks & Step-In Shower. Bonus Room could be an In-Law Suite which features a 2nd Quartz Kitchen, Bedroom and Private Bath. This Home is perfect for a Multi Generational or Blended Family. Private Patio with Large (resurfaced) Sparkling Pool & Covered Patio. Room to Park your R/V or Boat. Updated Electrical Panel, New Insulation, All New Windows & Doors. The Perfect Location to all Tampa Bay has to offer. 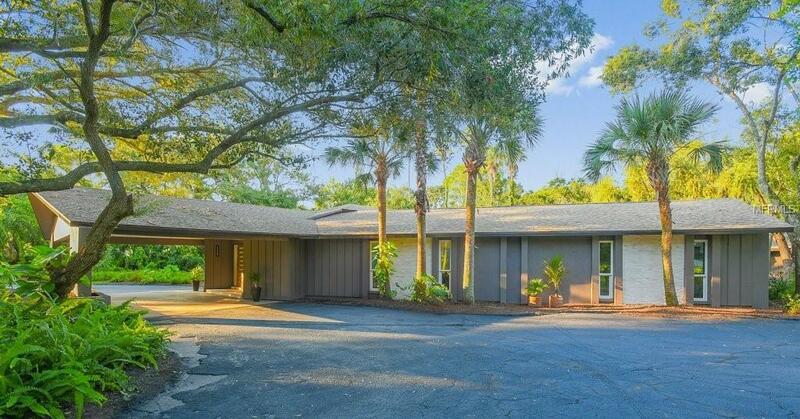 Just Minutes to Shopping, Schools, Dining, Beaches, Trendy Eateries, and Tampa International Airport.